The technological innovations and digital environment has revamped the industry of market research. Today’s market research reports are shaped by advanced data formation tools and speedy techniques to hold analytical and critical information with precision. Marketers view research reports from a very broader perspective and a completely different approach than the traditional research held. With tech giants like Google and Amazon incorporating artificial intelligence into maximizing the consumer engagement, AI will soon transform the way market research is conducted. The industry will receive a greater impact with the big leap. This will also encompass making of questionnaire and field management. The enhanced computing power and big data analytics may also be changed with the introduction of artificial intelligence in the study of the market. The role of data scientists will become wider and crucial in the industry. As conventional market research reports were limited to data and statistics, in the technology-powered world, more emphasis will be given to the soft skills and how the report is analyzed by the researcher. Every business anticipates to have a dynamic impact on the consumer and hence the they will expect the research conducted to offer insightful information which can help them lead the market. The US election and Brexit events have already shown enough influence on the market. The political instability factors play a critical role in the nurturing of market conditions. Researchers’ predictions may be affected by these unpredictable changes in the market. Especially the international market can possibly witness a trade war and other disorderly market situations. Along with AI, another contributor to the market research transformation would be automation. This will enable a smooth research process which will have better technologies to improve the quality of the market research reports. 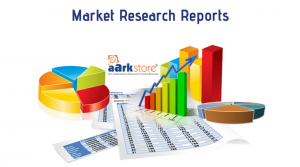 With a gamut of information being collected through technology market research reports the future of market study has begun experiencing already. It will interesting see how the demand for market research industry will open new opportunities for the researchers. Posted in Market Research, Market Research Reports, Technology and tagged Global Market Research Reports, Industry analysis, Market Forecasts, Market research, Market research companies, Market Research Reports.